Both the 2018 Ford EcoSport and Ford Escape appeal to drivers who crave impressive passenger space and sporty all-wheel-drive performance. Which is the right crossover for you? Check out our comparison guide to learn more about what makes these models kick. The 2018 Ford EcoSport is a subcompact crossover SUV, perfect for city residents and drivers who do daily battle with crowded highways. Inside, you'll find more than enough head and legroom for your crew. 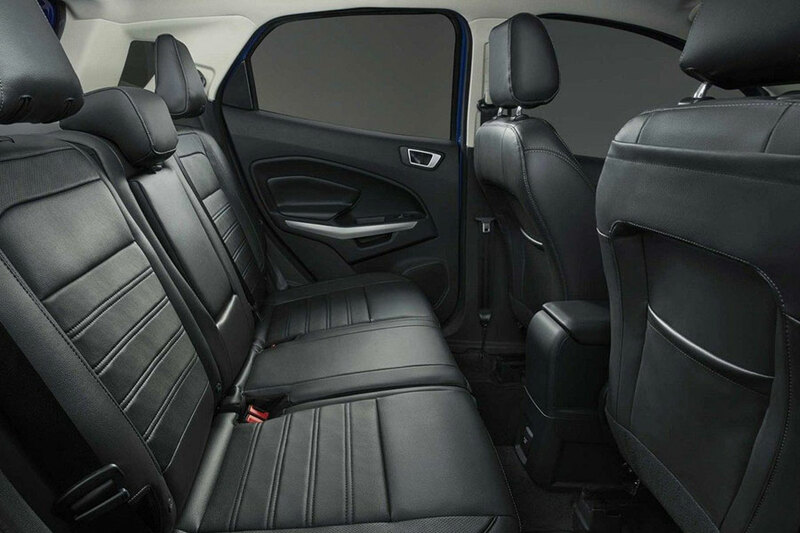 Higher trims even supply handsome leather upholstery and cozy seat heaters for a little extra mobile luxury. If your family is on the tall side, check out the 2018 Ford Escape, which supplies increased extra legroom in its capacity as a compact crossover. Like the EcoSport, the Escape offers a long list of modern luxuries for lasting contentment, including rich leather upholstery and heated seating. Here, the EcoSport and Escape really only differ as to which trim model provides which tech feature. The EcoSport gives you the most for your money, with features like Sync 3 infotainment and keyless entry and ignition coming standard on the mid-grade SE model. In the Escape, Sync 3 is optional on the mid-grade SE and standard on the new SEL trim, which slots between the SE and the top-trim Titanium. Only the Escape Titanium comes standard with keyless entry and ignition. Ford's Sync 3 infotainment system gets good reviews for usability, thanks to its responsive touchscreen and intuitive voice commands. 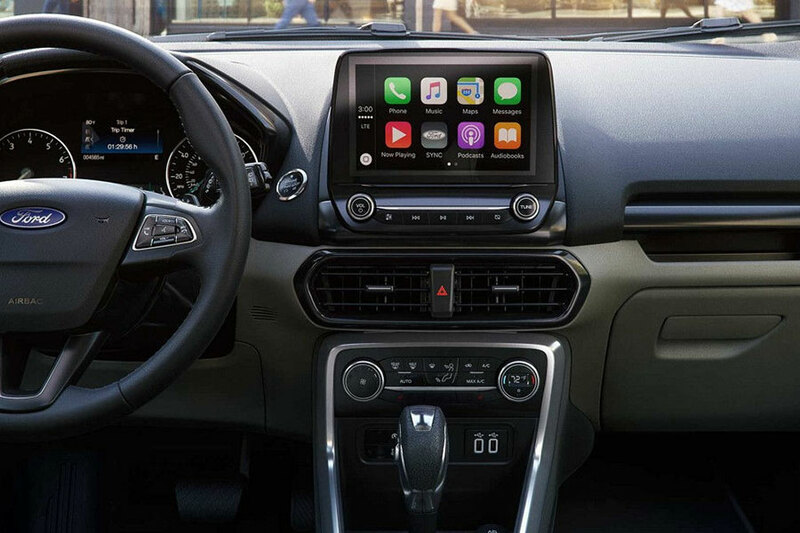 It includes Android Auto and Apple CarPlay capabilities, so you can interact with smartphone apps directly on your central touchscreen. Now you can stay connected without looking away from the road. For the longest list of high-tech safety aids and pristine crash-test scores, check out the 2018 Ford Escape. In government crash tests, the Escape earned a perfect five-star rating for overall protection. (https://www.nhtsa.gov/vehicle/2018/FORD/ESCAPE/SUV/FWD) Add the Safe and Smart package, and you'll enjoy increased peace of mind, compliments of the lane departure intervention and forward collision mitigation technology. Like the Escape, the 2018 Ford EcoSport offers an optional blind-spot monitor to help you switch lanes without any complications. However, this is the only driver aid you'll find on the EcoSport. This all-new crossover has yet to undergo government crash tests. For a ride that balances athleticism with fuel economy, check out the 2018 Ford EcoSport. With the turbocharged 1.0-liter three-cylinder engine, this subcompact crossover earns 27 city/29 mpg to help you balance your fuel budget. With optional all-wheel drive, your EcoSport maintains impressive traction on wintry roads. The 2018 Ford Escape is bigger on utility. It, too, offers optional all-wheel drive for those who live in a wet climate. When you add the tow package, your Escape can tow up to 2,000 pounds, making it the right choice for anyone who owns a light watercraft. 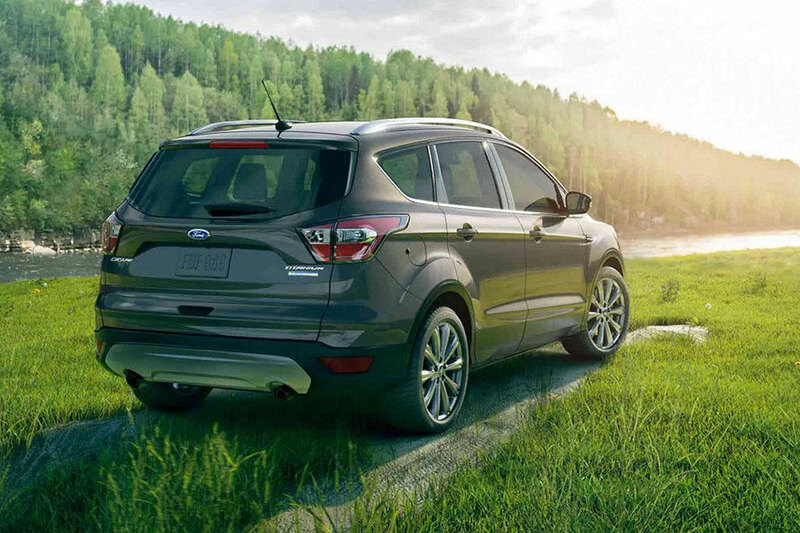 With front-wheel drive, the Escape earns up to 23/30 mpg, balancing a sporty performance with moneysaving efficiency. The crossover you choose depends upon your priorities. As you can see, the 2018 Ford EcoSport and Ford Escape both deliver impressive passenger comfort and tech options. If you're looking for a little extra passenger space, the Escape does fine. If you want the most technology for your money, the EcoSport is your crossover. The Escape provides towing power and the EcoSport is better on fuel. The Escape is also known for its long list of high-tech safety aids, helping you maintain vigilance throughout your travels.